(the bits that look like sticks). The beginnings of berries at the front. Right from when we are little, we learn to identify flowers by their petals. Children tend to draw daisies rather than roses and hardly anyone, if you handed them a pencil, would begin with a honeysuckle flower. Even now, I struggle to understand how a flower can have no petals. A petal-less flower seems more like a bud or a ready made berry. To an unscientific mind (like mine) it's bewildering. When is a flower not a flower? Insects don't have this problem. 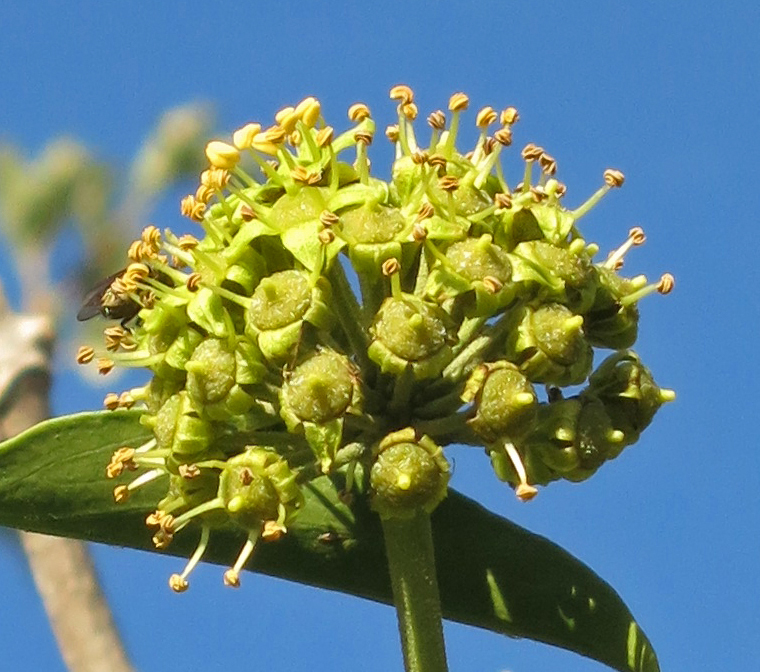 As I noted last year, ivy flowers attract enormous numbers. This year, there are even more hoverflies (and there were a lot then!). The ivy flowers are clouded with them. Last year, blow flies (blue bottles and the like) basked on their leaves. At present they are not so prominent but the big surprise is Red Admirals - not that they are here (for this is an ordinary habitat for them) but their numbers. They are big butterflies, a couple of inches across when their wings are open (big for here; maybe not for the Amazon!) and they have decided to become petals for the ivy flowers. To human eyes, that is. They are not hanging around looking pretty on purpose. They are busy feeding. Most are getting ready to fly to Africa. AFRICA!. I'm not sure which is more bewildering - that ivy flowers have no petals or that butterflies fly to Africa. Just like many migratory birds, they mass on the south coast of England, ready for take off. The uppersides of a Red Admiral's wings are so dramatic, they are what usually catches my attention. Until I took these photographs, I hadn't realised how beautiful the undersides are too. They help disguise the butterfly when it is hiding on the trunk of a tree. What surprises butterfly experts is that some of them now over-winter here.What surprises me is that these delicate beings ever leave! 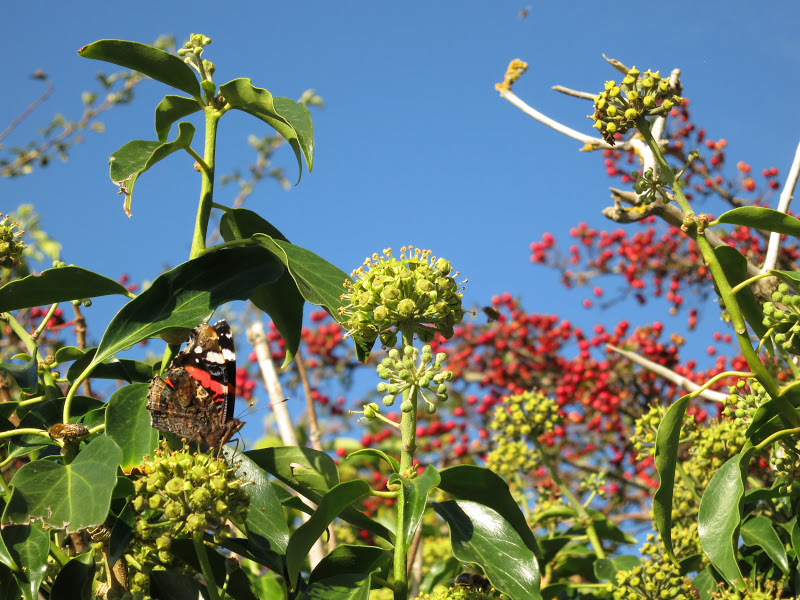 In the spring, there will be Red Admirals coming the other way. Something I'm not clear about is whether any are the same individuals. I'm hoping someone reading this will know how long they live. Do you? The Red Admiral page on UK Butterflies - Lots of pictures and videos (including a Red Admiral coming out of its chrysalis). 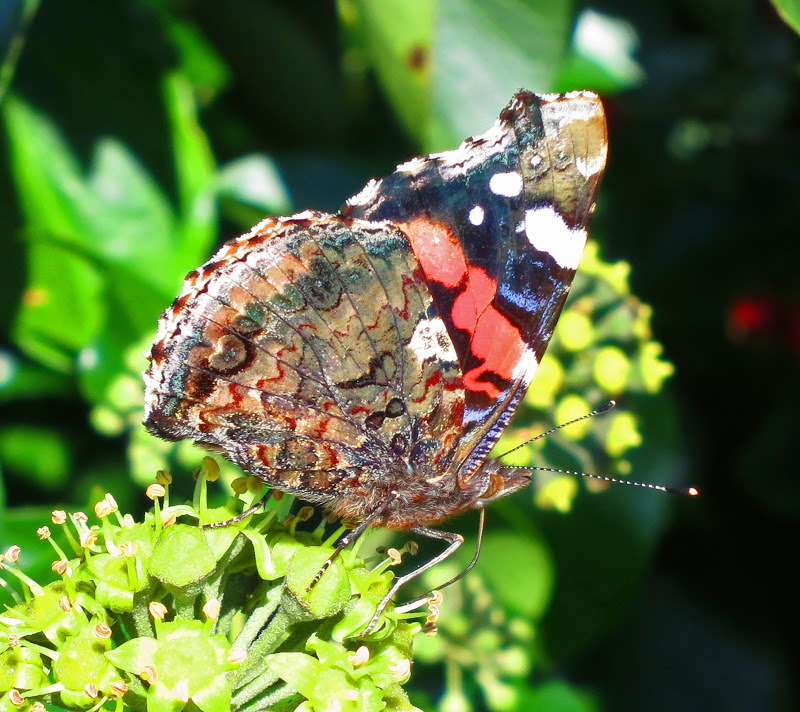 The Red Admiral Page on Adrian Hoskin's site - Learn About Butterflies - More detailed (but very readable) information. Ivy has a bit of a reputation problem but it's contribution to sustaining wildlife is underrated. Nice post! I love it when you write about Ivy, always something for me to learn. You have now surprised me about the migration of the Red Admirals. As a child in Wales, I recall having a lot of them over-wintering at the top of our landing. when I read about monarch butterflies migrating, ANY butterfly migrating - I find it hard to believe. Well I never. All sorts of things in that post I didn't know. How absolutely fascinating that red admirals migrate to Africa from the UK. Ours come from Guatemala north in spring...I have heard they live up to a year at max as with many butterflies. I didn't know you have Red Admirals over there across the pond! This spring during their migration we saw more Red Admirals than ever before. I'd hoped it would be the same with other butterflies, but it was not to be. 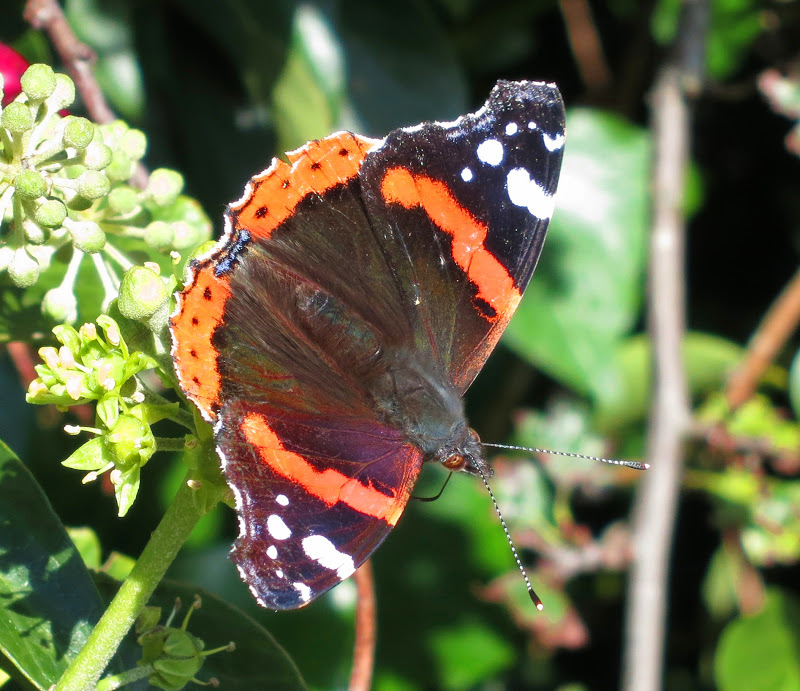 Except for Red Admirals this spring, and cabbage butterflies all through the warm (hot!) season, we had very few butterflies here this year. The Red Admirals missed me out altogether this year! I've noticed that Blackbirds love eating the berries from Ivy plants, so they are doubly useful. What a lovely post. 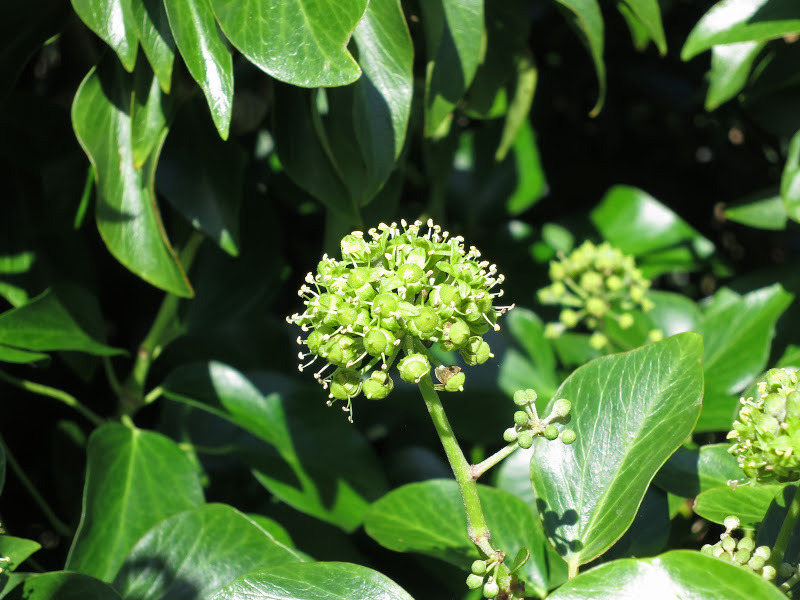 We're big fans here of arboreal ivy and are familiar with some lovely sites locally. I love its shape and all round fecundity, not in the least flashy but perfectly formed and a haven for all sorts. it's some while since I've come across hoards of butterflies - lucky you to find a squadron! Lovely post, lovely pics and great info. Nice one! "When is a flower not a flower?" ... hmmmm ... that's an interesting one, has got me thinking. The first time I ever saw a Ivy blossom was on your blog years ago...and then after I saw it there, I finally saw it in real life. Love your butterflies...they are so colorful, but I a not sure that we get anything like that here. I love ivy - it's great. We have an old dead apple tree that ivy has covered, it looks like an ivy tree now. There are lots of insects on it when the sun's out, but I've only seen one red admiral. Maybe ours are now in Dorset. 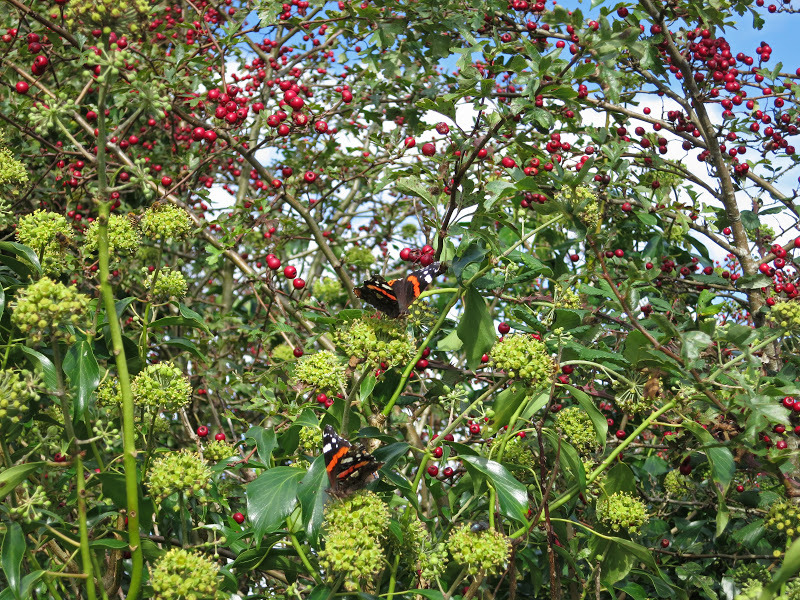 Such lovely photos of the ivy especially with the butterflies. It's amazing what a long journey the butterflies take,the wonders of nature! 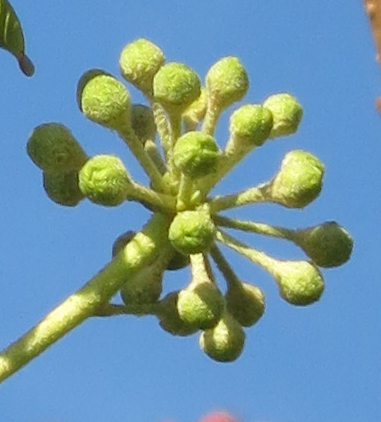 I've never seen an Ivy up close and personal. Its quite a fascinating flower specie. A bloom with no petals? That's a rare thing. As has been said ivy is great for wildlife, and bees love the flowers according to my bee keeping plot neighbour. Sadly I've only seen a couple of Red Admirals this year. Awesome serie of photos, so much to see. A lot of details! I knew that butterflies migrated but didn't realise that they went as far as Africa. You've taken some wonderful photos of the Red Admiral.